My dad has gone and bought himself a new (second hand) car. 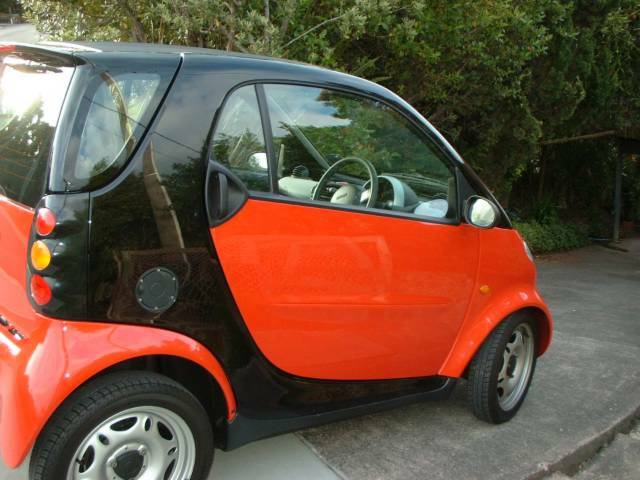 It’s a Smart car by Mercedes and they are not yet released in New Zealand. It does about 100k (60 miles) on 4lt. (1 gallon) of petrol and has all sorts of other wizzyness about it. Dad tells us he bought it to make a statement!